If you are an Etsy artist who would like to be featured on my blog please contact me through my shop. I will also be doing giveaways on Fridays beginning in June and would love to host yours. Today's interview is with Etsy shop Beads Of Glass. Introduce yourselves and tell us about your shop. 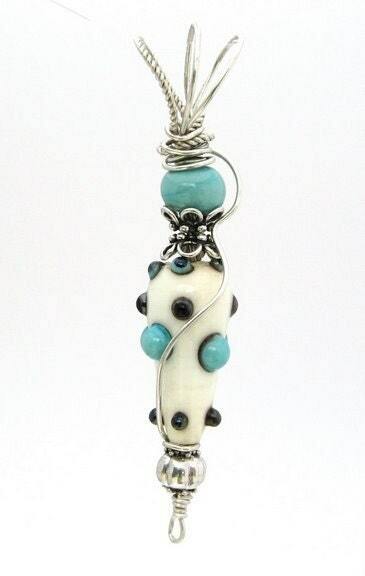 Beautiful handmade lampwork beads and jewelry for women who love one-of-a-kind artisan creations by artists Joyce & Harvey Richards. Our art is born out of a husband and wife collaboration. Our talents flow together to create unique pieces of artistic jewelry. I choose to work with glass because of the mesmerizing nature of the molten glass as it passes through the various temperatures of the flame. I feel in control until the flame changes my direction, at which time a miracle occasionally takes place. I try to translate my love of the glass and colors and luminosity into beauty and hope that you both see and feel that love in each bead I create. Harvey takes these artistic beads and with his sense of design, balance and form creates graceful, feminine, wearable art. What inspires your work? Describe your creative process and favorite materials. 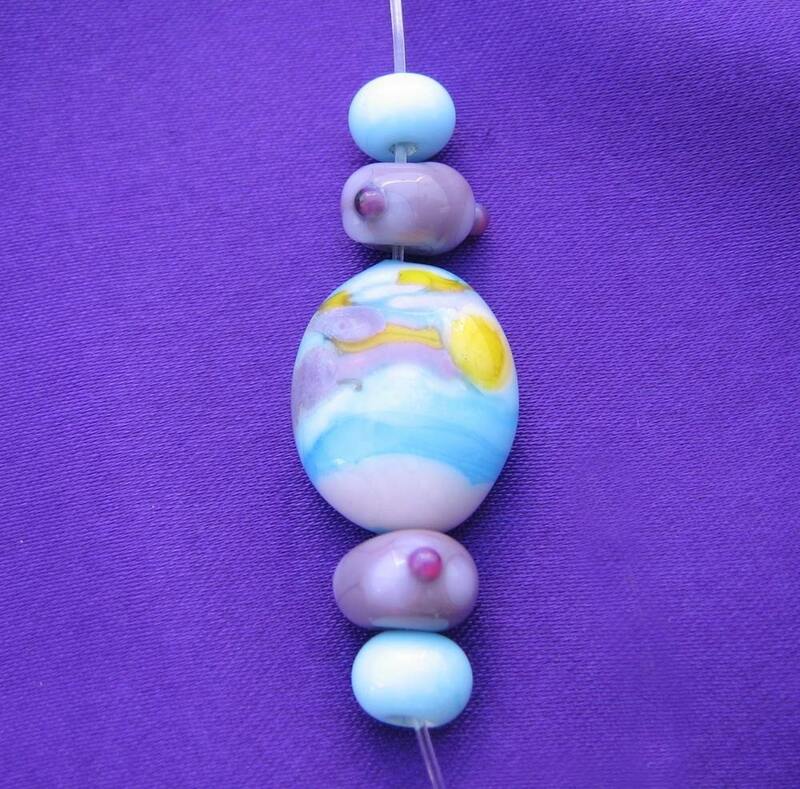 I use soft glass rods imported from Italy, Germany and other far off places to create my beads. I am inspired by nature and often use the glass rods to paint as I once used oils to paint on canvas. Color and the use of layered dots play a big part in my designs. I love to use glass infused with metals. These colors are manipulated in the flame in ways that help me bring out the metallic nature of the glass. Our glass beads are placed into a digitally controlled kiln to remove stress caused from manipulating the glass. Soaking the beads at almost 1000 degrees for hours and slowly reducing the temperature insures it's structural integrity so that you may enjoy your glass jewelry for many years to come. We use only the finest materials and often combine the glass with semi-precious stones, pearls and either sterling or pure silver. Our aim is to give you a piece of art that you will treasure as you would an heirloom. How did you get started with your work? We are both self-taught artists and have exhibited and sold our work at various art festivals across South Florida. Our studio is located in SW Florida. We are members of Florida Craftsmen and have been members of the Englewood Art Center where we have participated in juried fine art shows. We have also been participating members of the Charlotte County Art Guild, The Arts and Humanities Council of Charlotte County and the Aiken Center of the Arts in SC. What brought you to Etsy? We found Etsy through other artists and we are still trying to get ourselves out there. What is your favorite piece in your shop? You should check out our bracelets. They are colorful yet classy. My favorite is the Cherry Red with leaves and adorned with Bali silver. 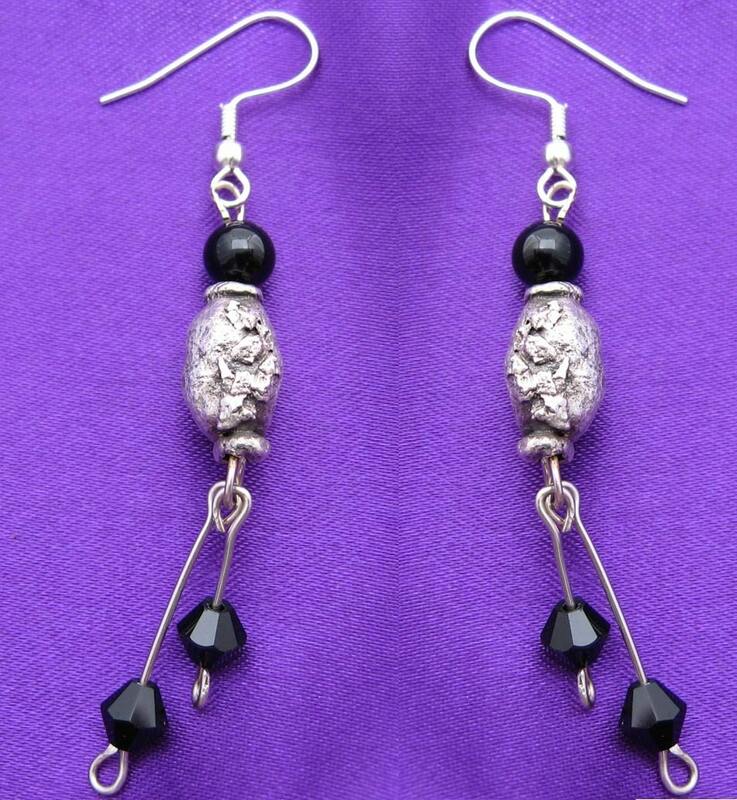 Harvey's has started working with PMC and has made the most stunning earrings. What have you learned from your craft and selling on Etsy? The most precious gift our art has brought us is the knowledge of how wonderful it is to have work that you love. Too be so immersed in what your doing that you forget it's work. The joy you feel when you have created a beautiful thing is very fulfilling and we think many people on Etsy have discovered this. I'm a 25 year old fun loving woman living in Washington with my fiancee. I just moved from Maine and am loving life out here. I work as a cook in Portland and am working on developing my jewelry business on the side. MOVED - SUP. So I managed the move! More details over at cathlinargbakes.tumblr.com! Audrey's Country Crafts Give Away!! Take Charge Of Your Wardrobe!